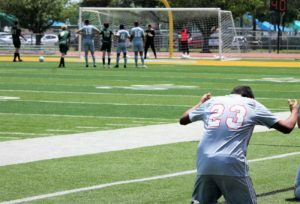 McALLEN — Progreso played well enough to reach its fourth state tournament in a row, but the bounces, the calls and painfully close chances never went in the Red Ants favor during Saturday’s In the Region IV-4A championship match at McAllen Veterans Memorial Stadium. 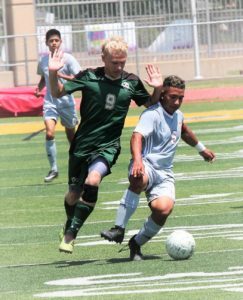 Behind a late goal on a penalty kick, Canyon Lake pulled off its second upset of the weekend and eliminated Progreso, 1-0. Trenton Lorett scored the winning goal for Canyon Lake after a handball call in the box with 4:02 to play. The Hawks advance to Georgetown as winners of the Class 4A Region IV tournament, the first time Progreso hasn’t claimed the trophy in four seasons. After addressing his visibly distraught team, Red Ants coach Margarito Jimenez explained that controlling possession and taking shots isn’t enough. 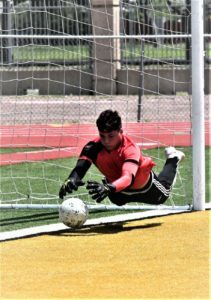 During the first half, Matthew Perez took a shot for Progreso but Shawn Bell in the Hawks net was up to the challenge. That chance was the best of the half, but Red Ants faithful also felt they should have been awarded a penalty on a non-call prior. The referees called a relatively even game over most of the field but the official seemed to keep the whistle away when potential fouls took place close to the goal. With Progreso as the aggressor, that meant Perez went to the turf on different occasions without a foul. Progreso forward Miguel Puentes was the most dynamic player on the field. He is small in stature but his footwork and patience on the left side of attack create multiple opportunities. Directly after the halftime break, Puentes was back to his tricks and created room to rip a shot. His blast beat the goalkeeper then hit the crossbar. The ball ricocheted straight down and bounced dangerously close to the goal line. The side officials and the main ref did not stop play to discuss if the ball crossed the line. Unlike professional soccer, there is no review and play went on scoreless. That potentially missed goal wasn’t the last chance for Progreso but it was one of their best. Minutes later Bell made another saved but the ball’s backspin had it still heading toward the net, he was able to recover and keep the ball out. As the game went on without a goal, the upset-minded Hawks gained confidence. They began to run back with counter attacking. With less than five minutes to play and a header sailing past Arturo Gallegos in goal, Puentes reached up to stop the ball with his hand. The refs conferred and made the call of a penalty and automatic red card to Puentes, the Hawks capitalized on the chance. Canyon Lake won both of their games in McAllen in dramatic fashion. 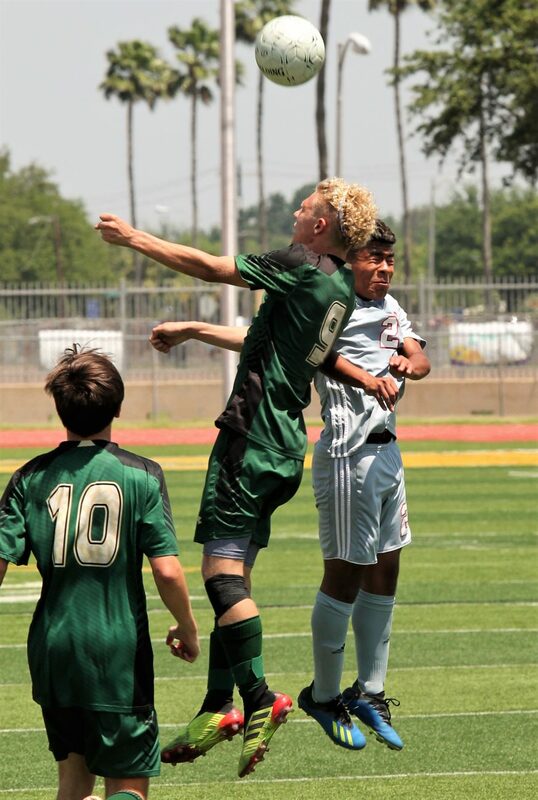 On Friday the Hawks came from behind ahead favored Gonzales to win 2-1 on a corner kick goal at the buzzer.